What are your appeal options? You may think that once a ruling is made in your case, the case is over. However, you have many options even after a conviction. There is the possibility that the conviction may be challenged and overturned on appeal. After a final ruling or determination in your case, your attorney can help you exhaust the appeals process. An appeal may not be the best way to move forward with your case, so you will want to discuss this possibility first with an experienced criminal defense attorney with appellate experience. Appeals Attorney John Calcagni has experience with appeals in both civilian and military courts. Attorney Calcagni will use his experience with the appeals process to help you overturn the ruling or conviction in your case, if possible. Contact Calcagni Law today to discuss your case and whether or not an appeal is right for you. An appeal is a request to a high court to review a decision of a lower court. Trial courts are where determinations of fact are made. Trial court is where a defendant is arraigned, conducts discovery, files motions and either resolves the case with a pretrial disposition (by pleading guilty) or proceeds to trial. Appeals courts review decisions of trial courts. Defendants in the criminal justice system have a number of rights afforded to them by law. If a defendant feels that a trial court rendered an adverse decision in violation of his or her rights, the defendant may file an appeal. Appellate courts review actions of a trial court for legal error. These appeals courts function as a check and balance on trial courts to ensure the participants of a trial, to include the judge, attorneys and jurors, act in compliance with the law and their respective duties under the law. Where a party is aggrieved by an adverse trial court decision, he or she may file an appeal. Appeals must be filed in the appellate court that reviews decisions of the particular trial court from which the appealing party seeks relief. The party who files an appeal is called the appellant. The party who responds to or defends against the appeal is called the appellee. Who Files the Appeal and Why? In most circumstances, a criminal defendant is the party filing an appeal. The majority of appeals challenge guilty verdicts after trial, adverse motions rulings by a trial judge and the reasonableness of sentences imposed. There are various other grounds for filing an appeal, but these are the main bases. When Is the Appeal Filed? An appeal may be filed either during the pretrial phase of a case or after the case concludes with either a trial or a guilty plea. Appeals filed while a case is pending in trial court are known as interlocutory appeals. These appeals most often seek to challenge pretrial rulings of the trial court, normally in connection with motions. Both the defendant and the government may file for interlocutory appeal. Appeals filed after a case concludes are by defendants aggrieved from a trial court decision, normally for being found guilty after trial. A defendant who loses at trial may appeal the guilty verdict claiming that harmful errors occurred at trial that adversely affected his constitutional trial rights such as to effective assistance of counsel or to a fair trial. If a defendant wins his case by acquittal or a finding of not guilty after trial, there is no right to or grounds for an appeal. The government also cannot appeal a defendant’s acquittal or finding of not guilty. When an appeal is first filed, the appealing party files a document with the court known as an appellate brief. The responding or defending party then files a reply brief. The appealing party is given the last word with the option to file a response. Thereafter, once the appeals court has had an opportunity to review the parties’ written submissions, the case may be scheduled for oral argument. Appeals courts are very different from trial courts. The parties do not appear before a jury, like in trial court, to reargue the case. Rather, they appear before a panel of judges who must vote by majority to uphold the lower court decision, overturn or reverse the decision or send the case back to the trial court for additional findings of fact. The panel may consist of between three and nine appellate judges. The number of judges siting on the panel varies by court and jurisdiction (state, federal or military) where the appeal is filed. These judges first review the parties’ written briefs. Thereafter, the parties appear before the appellate panel to argue the points contained in their written submissions. The parties are afforded a limited amount of time for argument. During argument, the lawyers for the parties make oral remarks and presentations, as well as respond to and answer questions posed to them by the appellate judges sitting on the panel. After oral arguments conclude, the appellate court later issues a written decision known as a legal opinion, regarding the appeal. These opinions may be published or unpublished. Published appeals become part of the large body of law known as case law, which becomes the law of the land. This means they become controlling and binding on lower courts within the jurisdiction. Unpublished appellate decisions have no binding effect, but can be used as persuasive authority in other cases. If a party is dissatisfied with the decision on appeal, they may file for further appellate relief to a higher appellate court within the jurisdiction where such higher authority exists. Some jurisdictions have various levels of appeals courts thereby permitting further requests for appellate relief to a higher authority. Other jurisdictions do not. Whatever the case may be, once the highest appeals court within the jurisdiction renders a decision on the appeal, the decision becomes final. A direct appeal challenges either a criminal conviction or a sentence for a defendant who either pleaded guilty or was found guilty after trial. The appeals process is very different than the trial process. A court of appeals or appellate court will not likely consider new evidence in the case. Rather, the appeals court reviews the actions that occurred in the trial court for what is known as “legal error.” An appeal challenge action(s)s that occurred during trial, such as by the lawyers, judge or jury. The person who files the appeal is called the “appellant.” In a criminal context, the defendant who was found guilty in the trial court becomes the appellant by filing an appeal of his conviction and/or sentence. The appellant files the initial brief that contains arguments in support of why either the conviction should be overturned or the sentence should be reduced. The appellee responds with a “reply brief.” If the appellant so desires, he or she can file a written and final response to the reply brief. The arguments on appeal challenge actions or omissions by the parties at trial, which the appellant believes deprived him of a fair trial. All arguments must be based upon supporting information contained in the trial record, which consists of a verbatim transcript of the pretrial and trial proceedings, pleadings, and evidence offered to the trial court. The appeals court considers only the trial court record and will not typically allow for the submission of new evidence. After reviewing the written submissions of the parties on appeal and the lower court record, the appeals court invites the lawyers to appear before it for the presentation of what is called “oral argument.” The actual parties represented on appeal are not normally present for arguments, and are certainly not present if incarcerated. During oral argument, the lawyers are given a limited period of time, usually between 10 – 20 minutes, to make an oral presentation in support of their respective claims on appeal. The judges on the appeals normally court pose questions to the lawyers during their arguments, typically to clarify questions about the trial record, points of law, or application of the law to the facts of the case. An appeals court does not determine whether or not a defendant is guilty or innocent. This is the function of a trial court. Instead, on appeal, the court reviews what happened at trial to determine if any legal errors were made. Examples of legal errors include impermissible argument by the lawyers, the judge allowing evidence that should have been excluded or disallowing evidence that should have been admitted, juror or prosecutor misconduct, and many more. If a legal error is identified, the appeals court must then determine if the error deprived the defendant of his constitutional right to a fair trial. If the legal error is big enough, such that it negatively impacted the right to a fair trial, the appeals court may overturn the trial court’s ruling and vacate the resulting conviction. If the legal error applies to the sentence imposed, the appeal court may reduce the defendant’s sentence or send the case back to the trial court for re-sentencing. If an error was either not committed or did not impact the defendant’s right to a fair trial if committed, the appeals court will affirm the lower court’s ruling and deny the appeal. An interlocutory appeal happens while a case is still pending in a trial court and is very different from a direct appeal. Interlocutory appeal means an appeal in the middle, or while is case is still pending. Trial judges make many rulings over the life of a criminal case. Judges rule on whether or not to allow evidence into the case as well as rulings on motions. A lawyer can challenge all of these decisions through the interlocutory appeals process. The reason for this type of appeal is to prevent an interlocutory decision from preventing a defendant from receiving a fair trial. There are restrictions for interlocutory appeals because courts do not want factional litigation. For example, in some jurisdictions, there exists no right to an interlocutory appeal. In other jurisdictions, only the prosecution or government can file for an interlocutory appeal if aggrieved by an intermediate decision or ruling of a trial judge. In other jurisdictions, both parties have an equal right to file for interlocutory relief. Filing an interlocutory appeal is often not a matter of right, even in those places where this procedure exists. Often times, the party seeking to file an interlocutory appeal must apply to the appeals court for permission to do so. The appeal court will then decide if the claim(s) raised should be addressed while the matter remains pending in the trial court or later, such as after trial on direct appeal. Your attorney can help you decide if an interlocutory appeal is right for you and available under the rules of criminal procedure that govern your case. There are different processes or appeals in state and federal courts. It is important to have an attorney that understands the differences. It is also important that your attorney has experience with these procedures. As general rule, most lawyers who focus on trial work do not have much experience or expertise with appeals. These different procedures require different skill sets. However, there are some lawyer who are excellent trial attorneys with appeals experience. Having an attorney experienced in both areas and who understand the applicable rules for each can greatly improve your chance of winning an appeal. 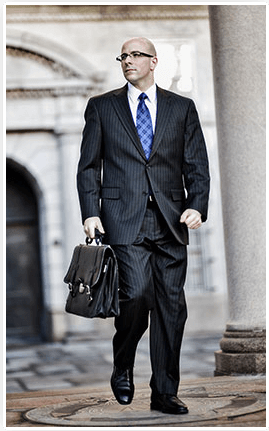 Criminal Defense Attorney John L. Calcagni III has trial and appeals experience in both state and federal courts to help you win your case. A military court is different than a civilian court. Depending on the court-martial there are different rules for an appeal. If you are convicted at a special or general court-martial, your case will receive an automatic review on appeal. The first person that reviews the case is the “convening authority,” or the high ranking military member that ordered your case to trial by court-martial. The convening authority can then “mitigate” the charges, conviction or sentence after trial by court-martial by disapproving the findings and sentence in part or in whole. You can find more about CRIMINAL AND ADMINISTRATIVE MILITARY APPEALS .